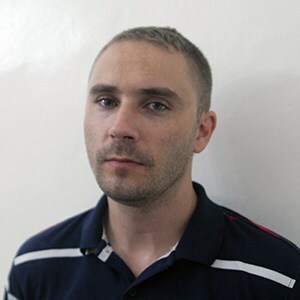 Before becoming a freelance WordPress developer in 2012, Rikard was working as a test engineer for SonyEricsson in Sweden for a couple of years. Today, Rikard is a project manager. He handles all communication and makes sure everything runs smoothly at SteadyWP. Although running a WordPress maintenance company, his full-time work is with Kriesi Media, providing technical support for their premium WordPress themes. Since SteadyWP just recently started out, the team has only a hand-full of clients. They’re hoping the numbers will change soon, of course. Currently, there are three people involved in the company, located in Sweden, Lithuania, and the Philippines. Services: Backups, updates, visual regression testing, automated functionality tests, etc. In 2011 I was looking for work as a software developer, in the meantime, I was doing some web development work for some friends as a favour. After that, I started to get paid work, and it kind of became my full-time work. WordPress was what most of my clients requested as a CMS, and I fell in love with the platform pretty quickly. From then on WordPress has become everything to me in my work life. I started out in WordPress maintenance about two years ago when I was working for a Swedish WordPress consultancy agency, and I was responsible for maintaining all client sites. I just recently decided to set up my own service. I was hired to integrate an existing plugin with some of the major WordPress contact form plugins, that is probably the most advanced work I’ve done so far on the WordPress platform. I think our level or testing and attention to details is what makes us stand out; we perform visual regression testing as well as automated functionality tests on all sites during updates. We run all updates on a ghost copy of the site first as well, before updating the production site. This method is by far the safest and most secure way to update a WordPress site our opinion. I would like them to know that we will take good care of their site(s), keeping them running without any problems. We try to pick plugins which work well for a particular site and setup, so I can’t really name a single one. There are no hosting companies that we won’t work with, but we prefer some over others of course. Since we only work with WordPress, it kind of comes natural to recommend managed WordPress hosting. I can’t remember the exact number, but I’m pretty sure it was over 80. We rely solely on clients finding us on search engines, through social networks, or by recommendation. Absolutely. I think WordPress maintenance will grow a lot in the coming years as site owner will become more aware of how important it is to manage WordPress sites properly. Published on October 31, 2017 by Ivan. Filed under: Interview, WordPress.